Active Listings in city of Irvine. 04/13/2015 Sold a Single Family home in 2015 in Tustin, CA. 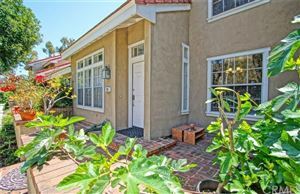 We used Valerie and Torelli Realty for the sale of our home in Tustin. From the start, she was amazing! She helped us decide what needed to be done to present the house for sale in the best light, while minimizing the costs of those fixes. She helped us price the house correctly and our home sold in the first week! We would highly recommend Valerie and her team to anyone needing to buy or sell their home.